Hello and welcome! 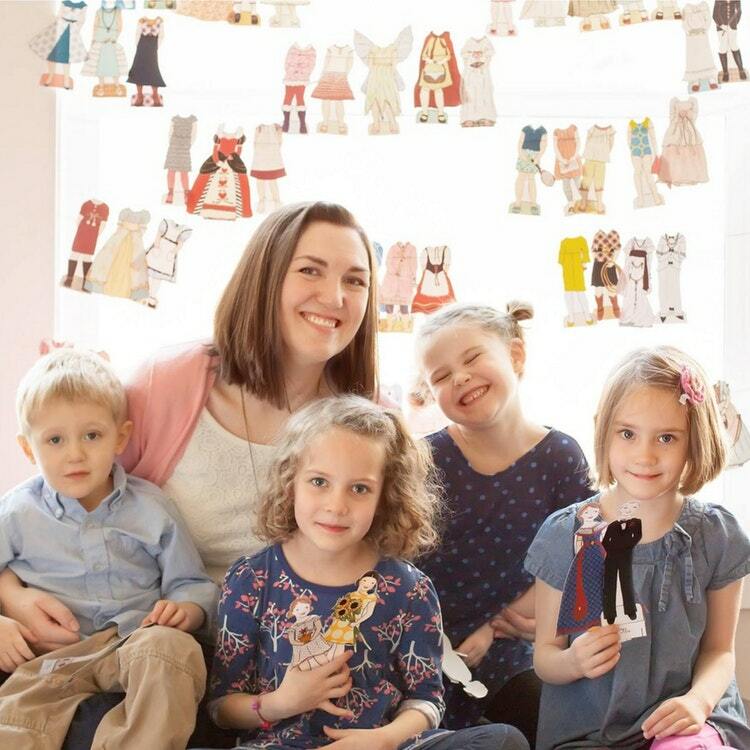 I’m Hannah Stevenson mother of four, wife to a great (and very patient) guy named Jeff, paper doll maker, art/nature study teacher, and friend. There are a lot of other names I go by but those are my favorites. I’m also a blogger (obviously) which is why you are here. Hi! This is where we get to celebrate motherhood and creativity. Here, we don’t focus so much on why creativity is important. I’m guessing you already know that. We focus on how to make it happen in the midst of motherhood. I don’t have to tell you that the years of motherhood are demanding (understatement). Part of you wants to drink up every intense and beautiful moment while another part of you is guiltily wondering at what point you can jump off of the train to Crazy Town. Beautiful CHAOS. 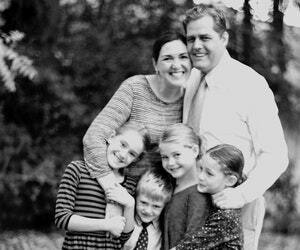 That time we had four kids ages 3 and under. That smile on my face is the look of a delirious and tired woman. You know that art and creativity make you come alive in a way nothing else (except for maybe a nap) can. But a creative practice seems to be the first thing to go in the midst of all the urgent and important demands in your every day, mothering life. I’ve spent years trying to figure out what it means to be an artist and a mom. Because for me, it felt that the two worlds were in competition with each other. Both needing my focus. My heart and soul. Making time for art seemed selfish when compared to my to-do list. I worried that a creative practice was frivolous considering all of the other ways I could be using my valuable time. But, as you know, the longing to create never goes away. 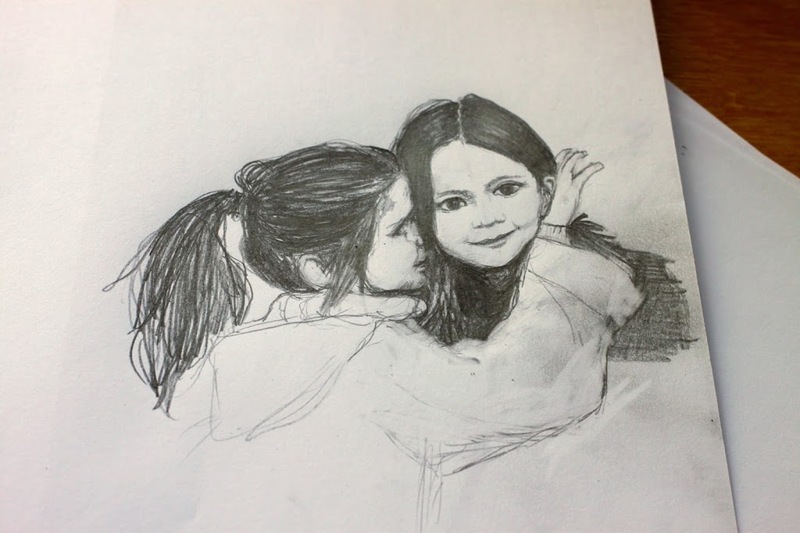 That day I realized that the worlds of art and motherhood don’t have to be in competition with each other. I am made to create (and so are you!). That longing comes from the One who created us. Creativity is part of our heritage – it is at the core of who we are. 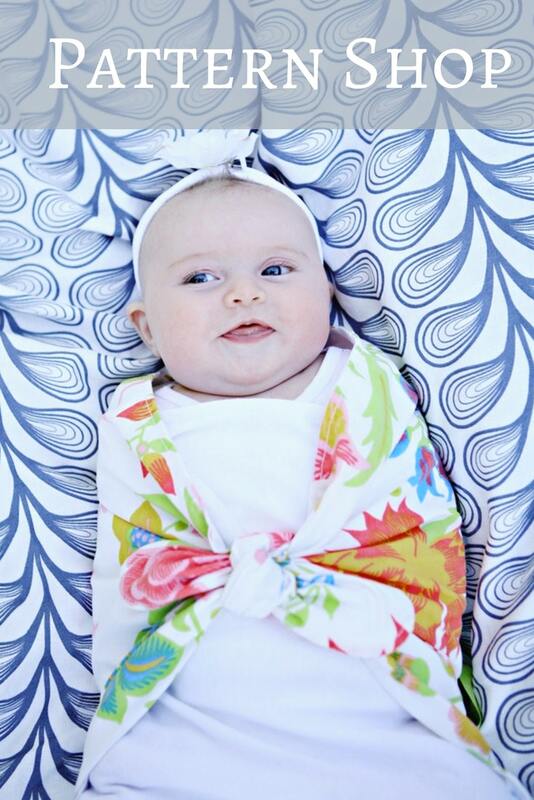 Of course, it can be part of our lives during the years of mothering! 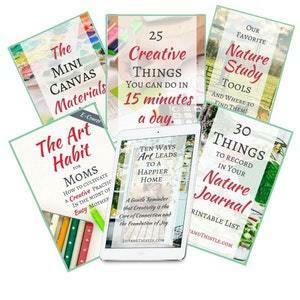 In fact, I have found that making creativity part of our family life has actually added to my efforts – bringing me closer to the mom I want to be. Another thing I’ve realized as I’ve been intentional about adding art to our lives is that those two words, artist, and mom are really one and the same. Motherhood is probably the most creative thing you or I will ever do. It is in every way a work of art. Some days it may look more like a Picasso but it’s still art! Every child is unique and so is every mother. 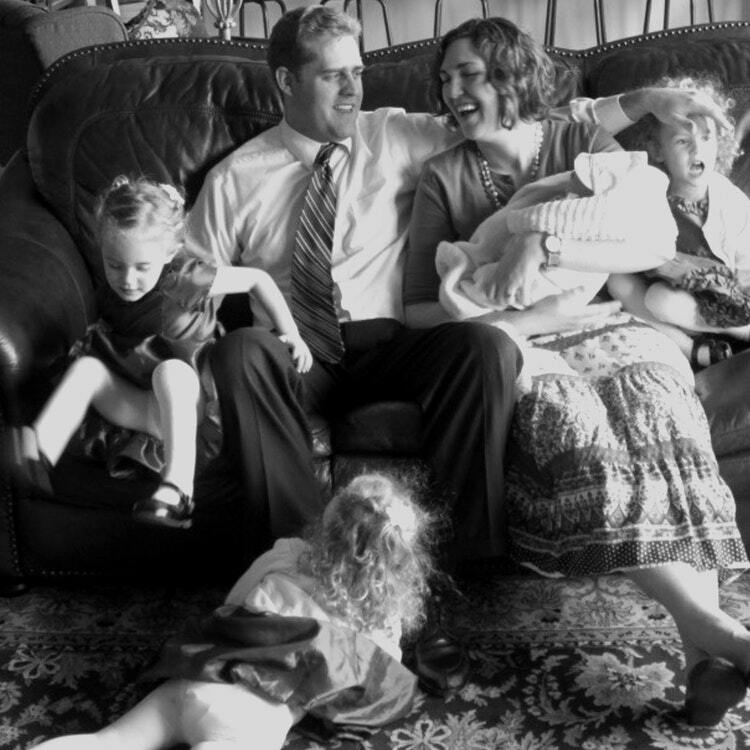 Every one of us has different personality traits, parenting approaches, and margins for chaos. 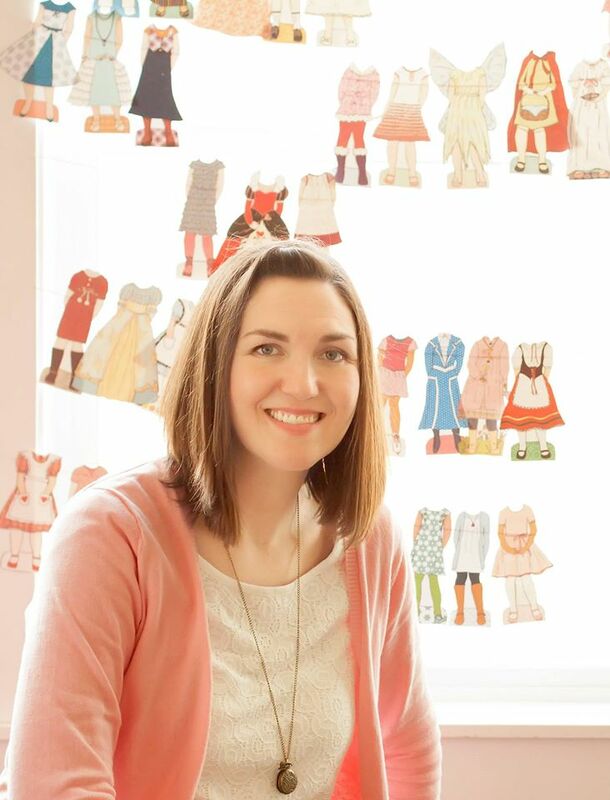 My goal here at Lily & Thistle is to give you gentle and practical ways to learn and grow in your chosen creative practice in the midst of motherhood. I also hope that you will make a habit of seeing your life as a work of art. I hope you will become more aware of how all of the ordinary and even hard, disappointing moments in your day are pieces to a larger masterpiece. When Art and Motherhood come together. 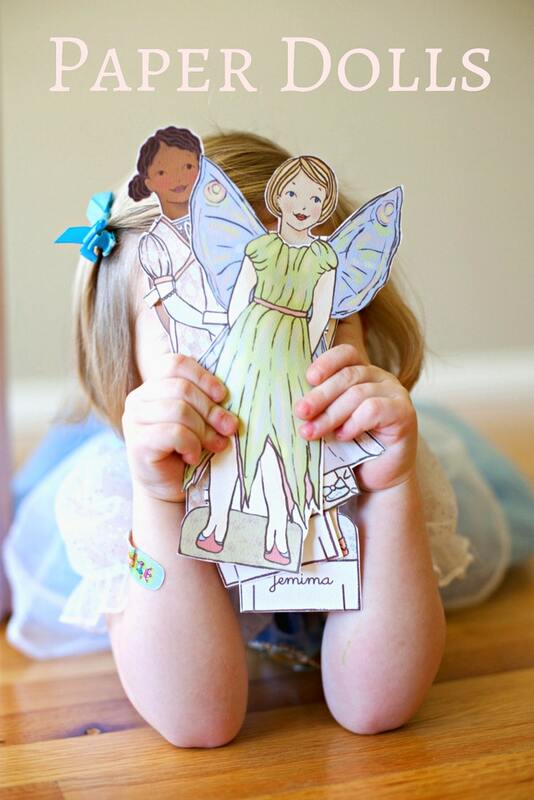 Paper Dolls! 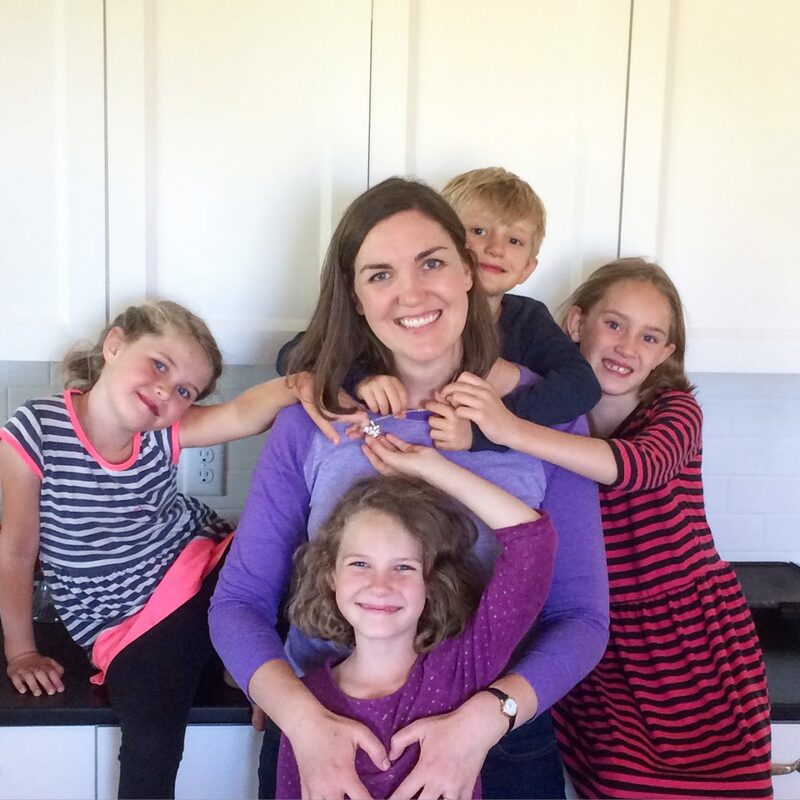 I am passionate about creativity and mindful motherhood. Depending on where you are on your mothering journey, some of what I write will be helpful and some may not be for you. Pretend you’re at your favorite salad bar. Take what tastes good right now and leave the rest until you are ready to try something new. No guilt allowed. 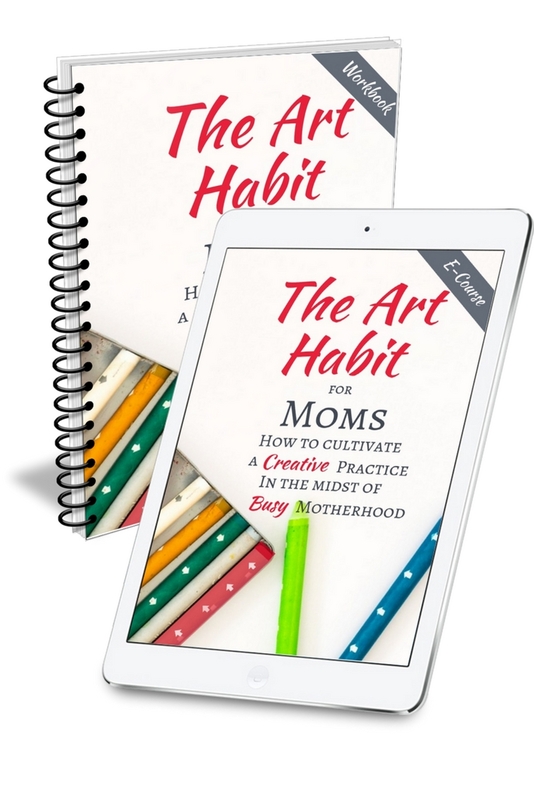 I offer a completely FREE e-course called the Art Habit for Moms. Check it out here.